Customize your Jeep Wrangler with Mopar® accessories and get ready for an all new adventure. From the Slush Mats that protect your interior from the Milwaukee winters to the rack and carry adapters, Jeep and Mopar® have what you need to maximize performance and utility. Developed by off road enthusiasts and Jeep engineers, this kit allows the use of larger tires. 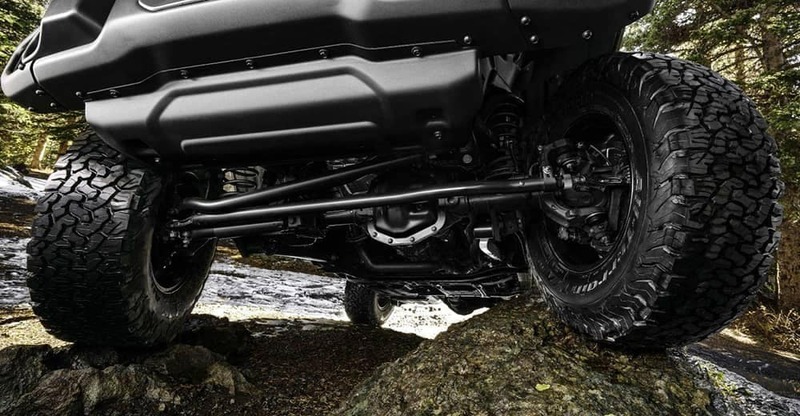 Provides increased ground clearance, increased articulation, and increased tire-to-ground contact for the four-door Jeep Wrangler (JL). The included 2.5 diameter aluminum body monotube FOX shock absorbers provide cooler operation and the longer front control arms optimize suspension and drivability. Adapter Kits for Mopar® carriers allow for easy integration with Production racks to manage gear and equipment—like bikes—without horizontal crossbars. Also provides mounting provisions for other accessories. Requires Spare Tire Carrier (P/N 82215355). For use with 35 or larger tires. Applicable for Jeep models other than the Wrangler. Move your driving lamps to the top of the Compass or the front bumper of the Patriot with bracket kit. The A-Pillar Mounting Bracket allows for the mounting of a snorkel to the body. Compatible with Mirror Relocation Bracket. With high wall, bucket style design and deep ribs, these All-Weather Floor Mats (also known as Slush Mats) will trap any mud, water, or snow that come their way. Molded in color and made to fit the four door Jeep Wrangler, even the front drain holes. Fits four-door Jeep Wrangler (JL). Door Sill Guards protect the door’s interior from scratches. Depending on your model, this kit comes with two or 4 doors and illuminated or non-illuminated logo. Mirror Relocation Brackets, constructed of black-powder steel for durability, allow you to move factory mirrors off the doors and on to the body of the vehicle. If you have power mirrors this will cause them to lose the power adjustment ability. These guards protect your lights in rugged style. Available in Black Aluminum, Silver Aluminum, or ABS Plastic in chrome or black finishes. The high-quality weather-resistant nylon cap comes in black and silver will fit snugly over the Jeep Wrangler soft or hard top. The reflective Silver cap is perfect for sunny climates as it reduces interior temperatures and fading. The cover can also fit the frame when the top is off to keep the interior clean. Combining style and function these Side Steps are Black Aluminum and offer molded steps for traction. Including a tow strap and a pair of gloves this kit attaches to the Jeep Cargo Management System. We couldn’t end this list without talking about the LED Headlamp Kit (P/N 82215136). 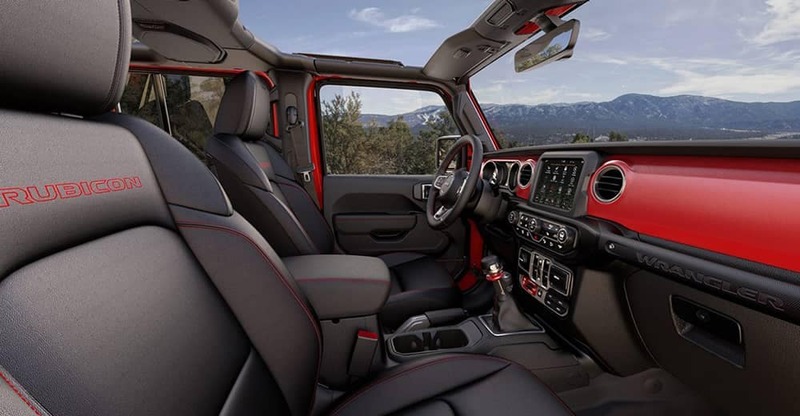 Wrangler driver’s gain greater visibility and cut down on glare from other cars with the installation of these LED Headlamps which blend in seamlessly with the rest of your Jeep. 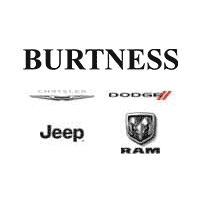 Upgrade Your Ride at Burtness Chrysler Dodge Jeep Ram! Want to see how the Jeep Wrangler compares to one of its top competitors? 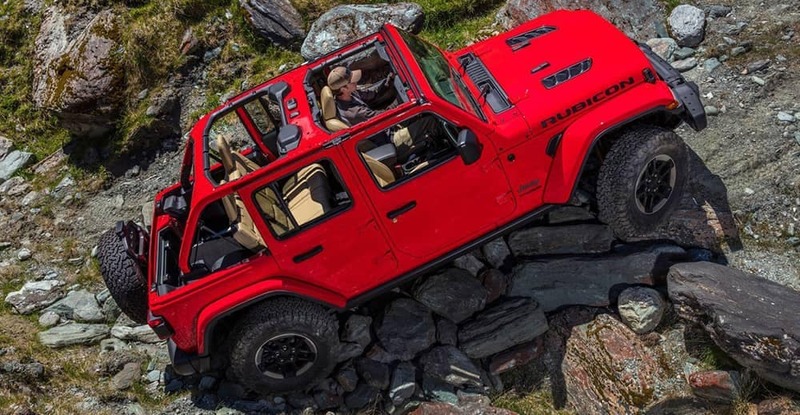 Compare the 2019 Jeep Wrangler to the 2019 Ford Explorer. 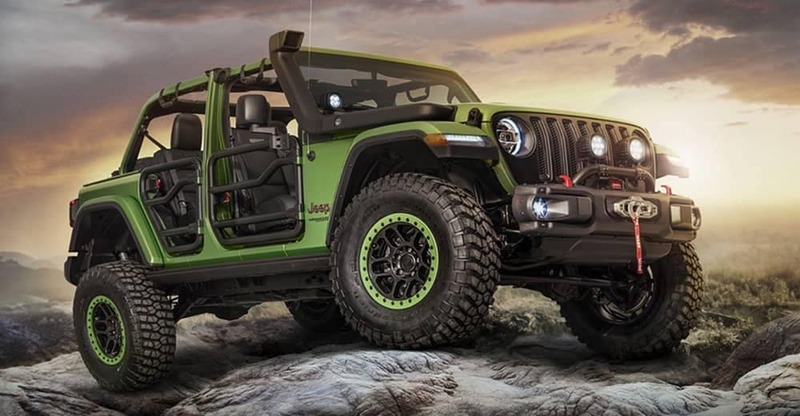 Ready to upgrade your Wrangler? Check out our Mopar® Parts Coupons and then order your parts from Burtness Chrysler Dodge Jeep Ram near Madison.